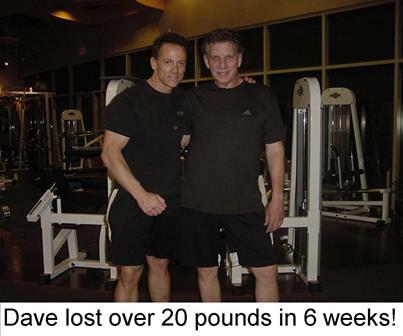 Accountability To a Personal Trainer Works! Health & Fitness Complimentary Consultation. It it your self discipline? Complimentary "Get Clear, Get Focused" Consultation. I know you’re busy and the most valuable commodity you have is your time. So I won’t waste it. There is no obligation and nothing to buy. The consultation is a complimentary gift from me to you. Because I want to prove to you how a personal trainer can coach and mentor you, whether it is one on one in our studio or over the phone on my weekly coaching program. By the way, the weekly coaching program is great program for those concerned about time and or cost, yet want be coached properly and held accountable to their goals from a professional. If this program sounds of interest to you please make note of it when you fill out the form below. With that in mind, please fill out the form below now and I will contact you as soon as possible to schedule our "Get Clear, Get Focused" complimentary consultation. This can be done on the phone or one on one in person. Local Endorsed Providers coming soon. Have us over to your group.